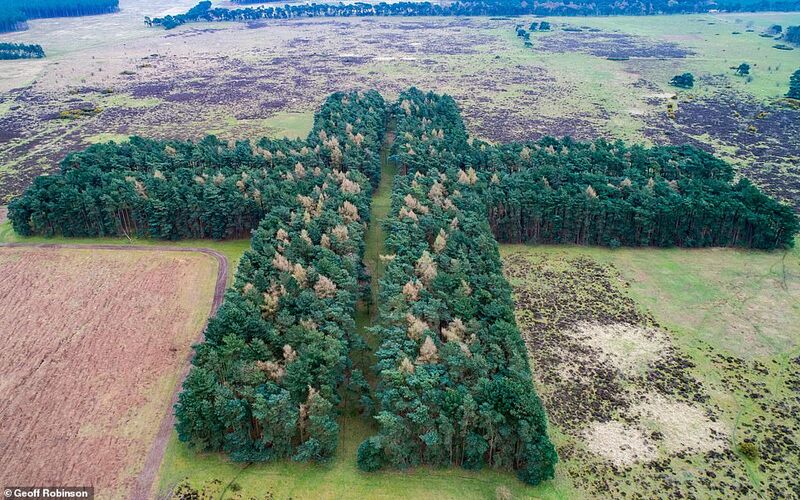 A huge cross of trees lies on heathland in Suffolk that has been bombed countless times - and stands defiantly, after 80 years. 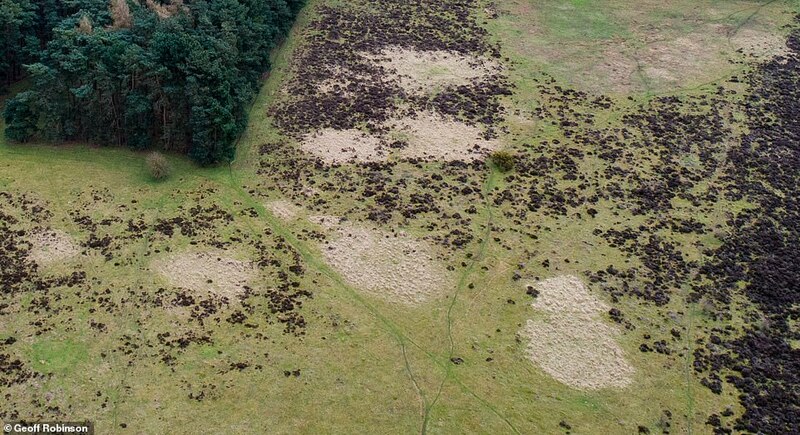 However, the aerial bombardment of the 300mx300m cross on Berner's Heath, near Icklingham, was not the work of the Nazis, but the RAF. During the Second World War, it was used for target practice, where inert bombs - often filled with concrete - were dropped from heights of up to 20,000ft. And the cross was the air crews' focal point - 'X' marks the spot. It was also used as a dumping ground by squadrons returning from missions when they had to jettison any bombs that were 'u/s' - military slang for 'unserviceable' ordnance. One such episode occurred in early November 1941. While flying on a night-raid to Berlin, No. 9 squadron could not locate its target due to cloudy weather. Heading back to Britain, Pilot Officer Wilgar-Robinson jettisoned bombs on Berner's Heath 'owing to all instruments being u/s'. The episode is recounted in a book by Gordon Thorburn, called Bombers, First And Last. The high-altitude bombing range, which lasted from 1936 until the 1950s, was administered by RAF Mildenhall. After the War Office lease expired, it was returned to the Elveden Estate, the seat of the Earls of Iveagh. Berner's Heath was also used during the First World War as part of a training area for the earliest tanks, in 1916. The Elveden Estate was used as a top-secret location for battle training and tank testing at the time. Trenches, redoubts and shell holes were made for exercises in the area, which included Berner's Heath. The heath is open access land.